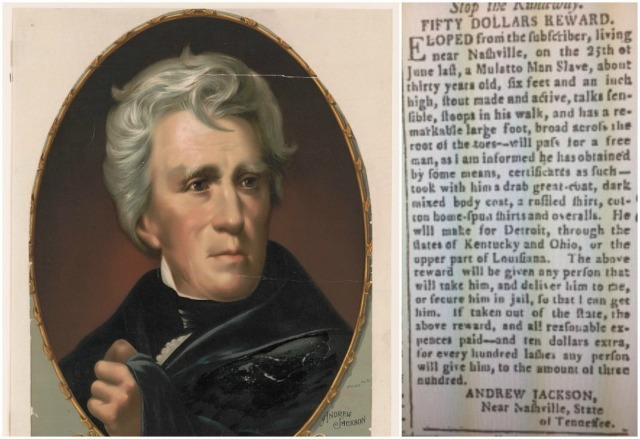 “Stop the Runaway” begins an 1804 ad placed in the Tennessee Gazette urging civic-minded souls to capture a “Mulatto Man Slave” escaped from one Andrew Jackson, “unrepentant”owner of 161 slaves, soon-to-be 7th president, and role model for our dizzyingly ignorant 45th, who with rabid encouragement from Bannon likes to glowingly compare himself to the prosperous slave trader and infamous Indian killer who precipitated the Cherokees’ Trail of Tears. The latest summoning of his bestie’s racist ghost came in an interview with the Washington Examiner in which “the most fact-challenged president ever” stunningly suggested Jackson was “really angry that he saw what was happening, with regard to the Civil War” and might have stopped it even though he’d been dead 16 years. After babbling, “People don’t realize, the Civil War – you think about it, why? People don’t ask that question” – though to date over 30 million people have Googled that very question – Trump blankly asked, “But why was there a Civil War? Why could that one not have been worked out?” So many facepalms, so little time. Still, let’s not forget the atrocity that is Trump’s breathtaking, ongoing assault on facts. One potent reminder: Jackson’s ad, one of thousands of runaway ads catalogued for a Freedom on the Move project by the history department at Cornell. 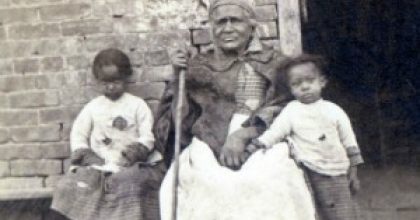 The project offers what Edward Baptist calls “little windows” into the barbarism of slavery. 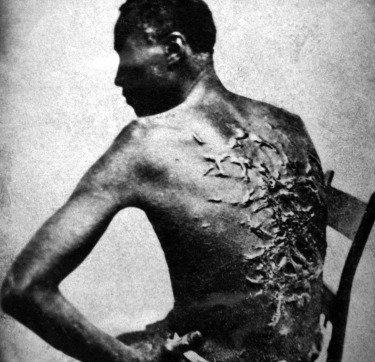 “I call them the tweets of the master class,” he says, aimed at alerting “the surveillance system that was the entire body of white people in the South” to help recover “human property.” The ads’ details tell the brutal tale, describing scars, missing fingers, a woman’s back that “appears to have been used to the whip.” Jackson adds an extra dose of cruelty: His runaway slave – “stout made and active, talks sensible, stoops in his walk” – will fetch a reward of $50, plus “ten dollars extra, for every hundred lashes any person will give him” up to 300. Amidst a racist culture boasting public exhortations to make money by catching human beings fleeing for their lives – which often included the puzzled note, “Ran away without cause” – Jackson fit right in. So does Trump. This entry was posted on May 2, 2017 by Vox Populi in Opinion Leaders, Social Justice and tagged Abby Zimet, Andrew Jackson's slaves, Trump and Andrew Jackson, Tweets of the Master Class -- And Ten Dollars Extra For Every Hundred Lashes.